Searching for the owners of a mysterious urn that’s fallen into her possession, a young American traveler takes a weeklong drive through Bulgaria guided by an enigmatic cabdriver in Kostova’s (The Swan Thieves, 2010, etc.) exploration of the price paid for love and art to survive under a brutal political regime. It's 2008. Alexandra Boyd, 26, has just arrived in Bulgaria from the Blue Ridge Mountains to teach English, and her cabdriver has accidentally dropped her off at an expensive hotel instead of the hostel where she’s booked. Before finding another taxi for herself, she helps an elderly couple and the handsome middle-aged man accompanying them into their own cab, only to realize minutes later that she’s taken one of their satchels. Inside she finds an urn containing the ashes of a man named Stoyan Lazarov, according to the label. Her English-speaking cabdriver, Bobby, reluctantly agrees to take her to the police station, where the officer in charge makes a call, then gives her an address where she might find the dead man’s family. Alexandra and Bobby—who gradually reveals that he's gay and has an impressive resume as, among other things, a poet and political activist—set off to track down Lazarov’s relatives. As they travel from lead to lead, they learn his history in connected narratives that carry the novel back to World War II and the Cold War era, when Lazarov’s career as a violinist was destroyed after he spent time in an inhumane prison camp. A mood of threat takes over when Alexandra and Bobby realize they are being tracked by someone who doesn’t want inconvenient truths exposed. While picaresque hero Bobby steals the readers’ hearts, the romance Kostova drums up for Alexandra elsewhere and the back story of her guilt over a dead brother feel shoehorned into the novel, pallid in comparison to the drama of Bulgarian politics over the last 70 years. 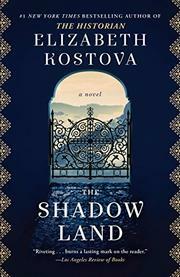 Kostova’s passion and tragic sense of history, along with jewellike character studies, almost make up for the overplotting and repetitiveness as she drums her points home.